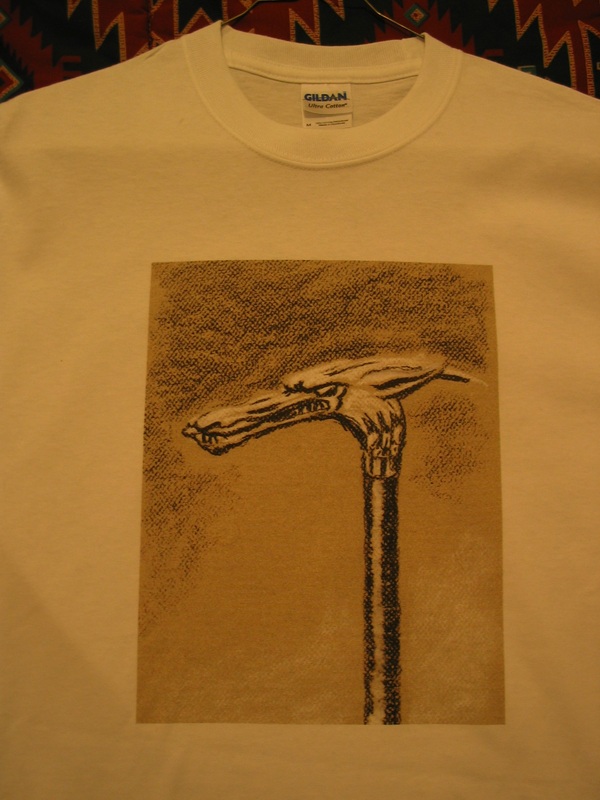 ← Clark Ashton Smith influenced me, but I don’t write like him! 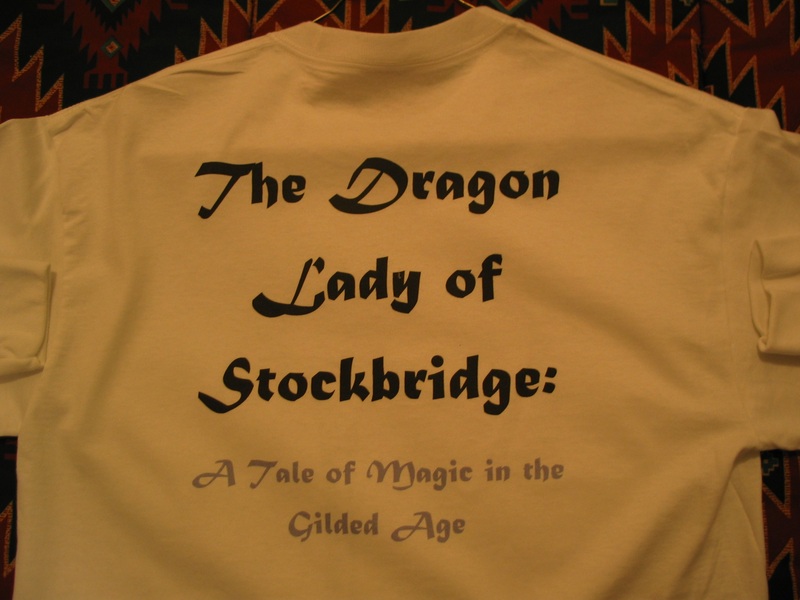 This entry was posted in Dragon Lady and tagged conventions, Fiction, Magic, memorabilia, Science fiction. Bookmark the permalink. I love the shirt! Great advertising gimmick for the convention. It should get people asking questions of you. Glad you like it! And to answer those questions, I’ve got a business card done up with the ink drawing of the walking stick head on the front, and the story’s title and URL on the back. We’ll see how many I hand out. Wishing all goes well. You deserve it. And stuck a toe in to see what self-publishing would be like, by talking to our local independent bookstore, which does custom printing and will stick the book in their catalog. is there a keyboard shortcut for “fingers crossed”? There used to be . . . but it jammed the typewriters, and had to be removed in 1897. I had that typewriter! Cut my teeth on it. Oh, the unexpected surprise when talking to the bookstore? I hadn’t thought of “Dragon Lady” as very long, because it takes up only 132 pages in its original format. I used the bookstore’s formatting guidelines to convert the text to a format suitable for a trade paperback. The result? “Dragon Lady” expanded to 342 pages! Respectable size. Almost eligible for the ‘door-stopper award’. What’s the word count? Approx. 73,000 words. My writing seems to be getting shorter; my first novel-length story was 124,000, the next 84,000. Great idea, I hope it is a huge success. Thank you. I’ll be sure to report back.